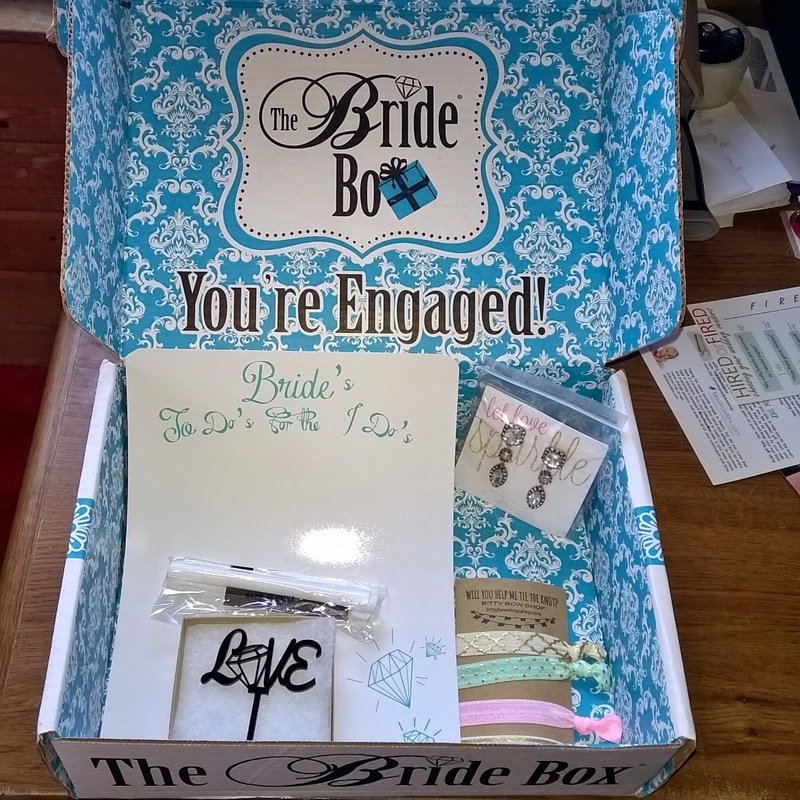 A few months ago I came across this company called The Bride Box on Facebook. 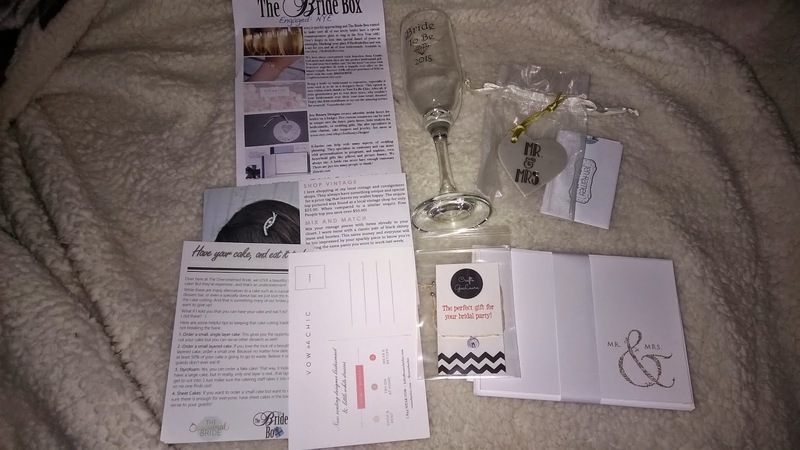 It's a monthly subscription box service for future brides. 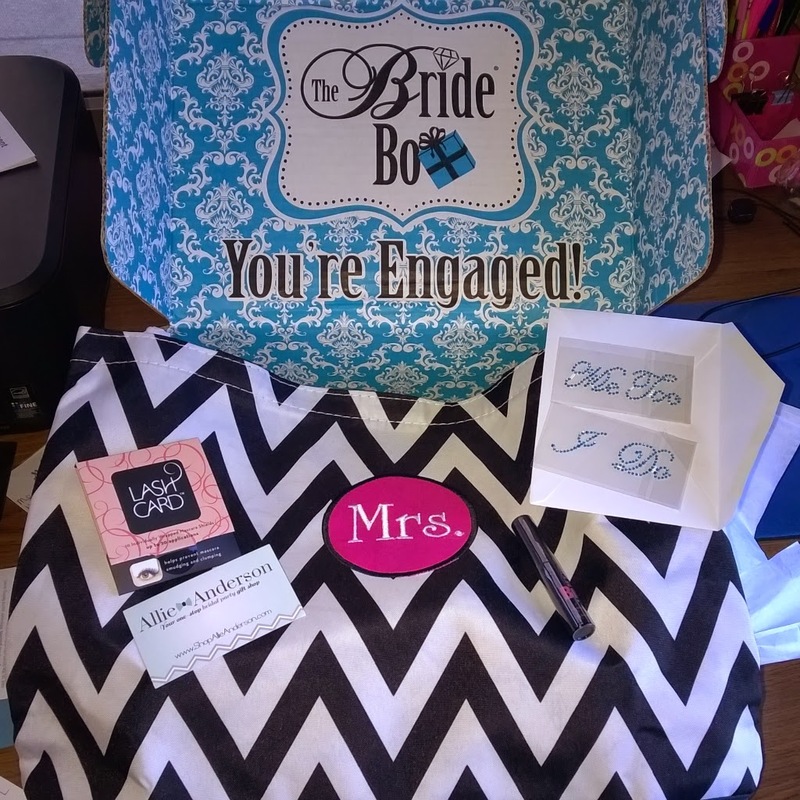 Each month they send you different items that could be used for your wedding or as gifts for your fiance or wedding party. It is $35 a month plus shipping. I am on month five and I have loved everything I've gotten so far. There have been a box or two where I didn't think it was worth the $35, but I still liked everything I got. I've been using the hair ties since I opened this box and will be using the little cake topper at our shower. I can't decide if I want to keep the earrings or gift them. They're really cute. The wine glass says Bride to Be 2015 and I love the cards too. I love this Mrs. bag and will be sporting it on our honeymoon. This box had cute stuff, but not sure that I will use it since it's holiday related and I'm getting married in June. 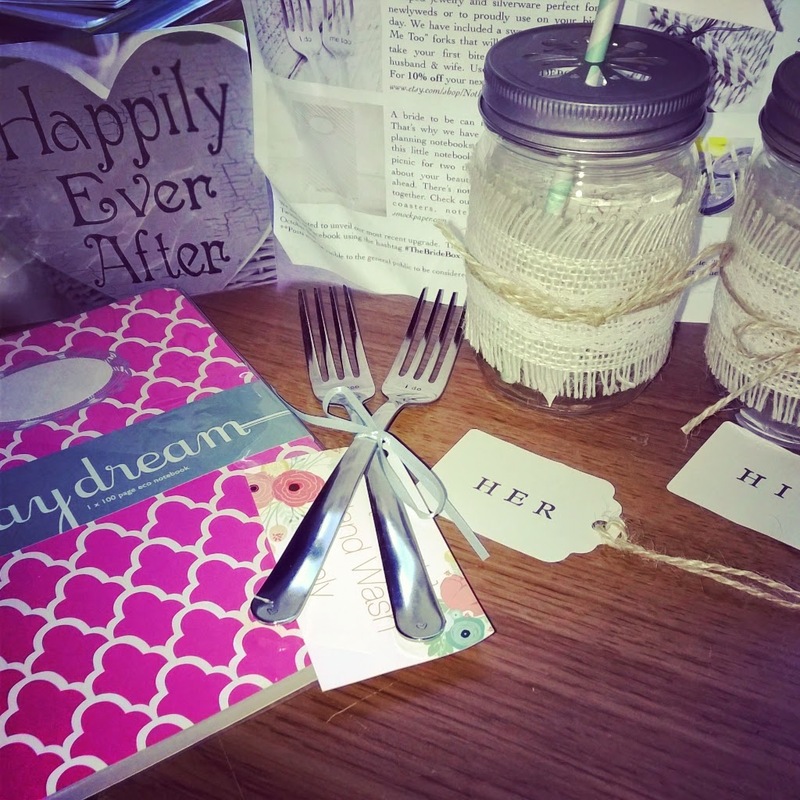 The first one I received was probably my favorite with the forks that are engraved with 'I Do' and the mason jar glasses, which I plan to use at our reception. 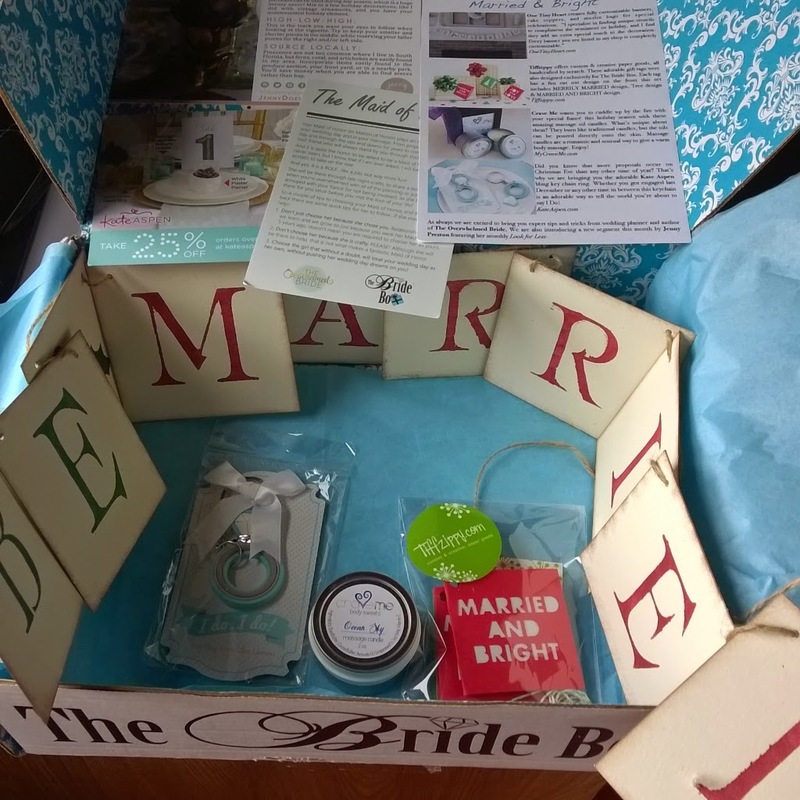 Want to try out The Bride box? Just click here- when you sign up enter Melanie Sonnenberg and melanie8284@yahoo.com and you'll receive $5 off your first box. Let me know what you think!